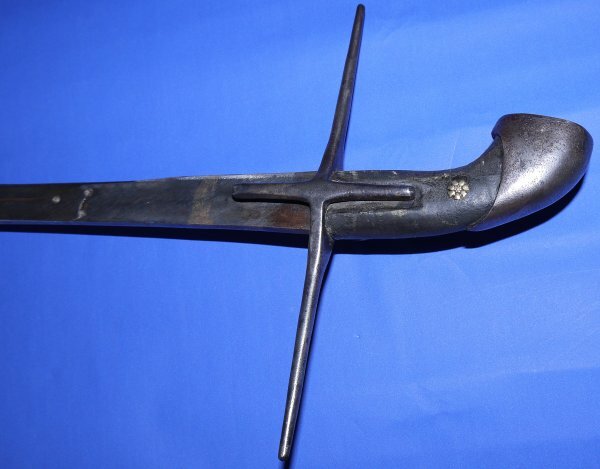 A rare early 17C Polish / Austro-Hungarian Hussar's Cruciform Sabre (Szabla Wegiersko-Polska typu Drugiego). 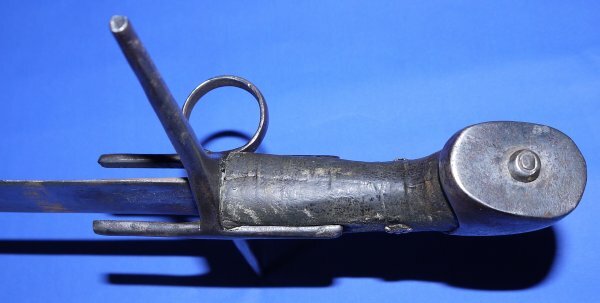 The straight cruciform design dates to the first part of the 17th Century, circa 1630. 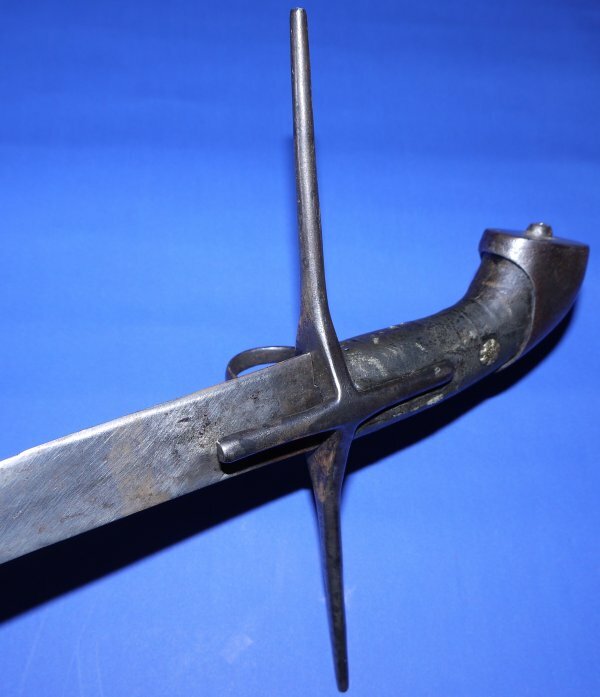 This is a nobleman's cavalry sabre of the type used to fight and repel the Ottoman Empire / Turks that invaded Hungary. 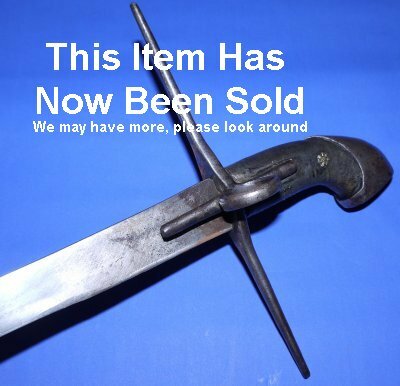 These swords generally sell for well over £2000. This one has suffered damage across the three golden stars maker's mark; a common issue as these indentations create the weak point in the blade. 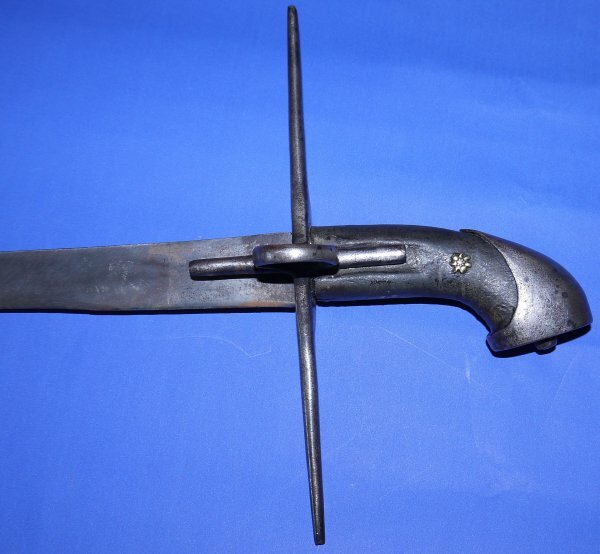 This blade has been re-forged to repair the damage, and has been done very well; the blade is strong and perfectly straight. The 30 inch blade is in good condition, a little light pitting towards the point, firm in the hilt / grip. The cross guard is a little loose but not much. The grip is original and in very good condition. A superb sword, yours for £? (too late, now sold). Please quote item reference S54 (0671). Further / full sized images available upon request.